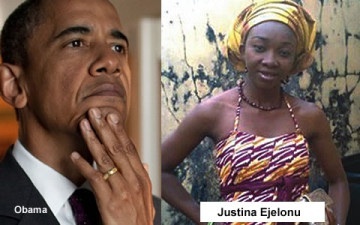 Nigerians are clamoring for help from President Barack Obama to make ZMapp, drug for treating Ebola available for use of a nurse, Justina Ejelonu, infected by Patrick Sawyer, Punch newspaper reports. The nurse had explained how she handled Sawyer that she checked his vitals and helped him with food, because Sawyer was too weak, and that she could have been infected from touching surfaces in the hospital Sawyer may have also touched. She explained further how Sawyer forced off his infusion and spilled blood everywhere on the bed. The nurse said the hospital took every precaution required in the treatment of an Ebola patient in Sawyer's case. Her undoing is that she is a nurse in an hospital, a new risk that medical workers are facing from Ebola infection. Two Americans are currently in Emory University after getting infected for attending to victims in a Liberian treatment center, and are reportedly on Zmapp.